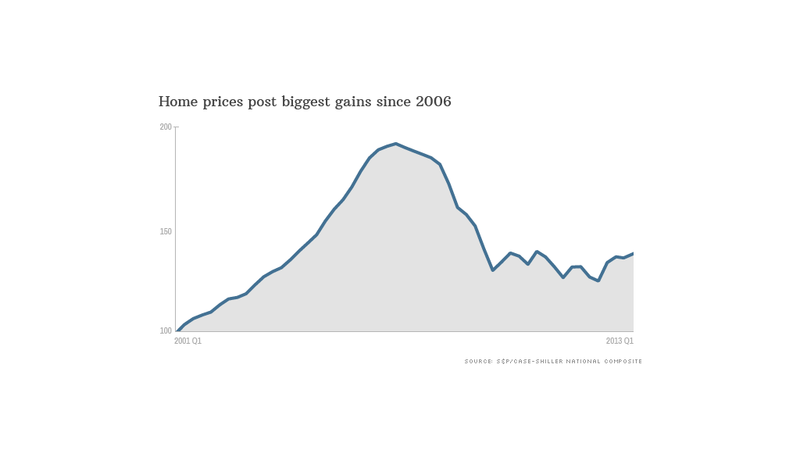 U.S. home prices posted their strongest gains since 2006, as the housing recovery continued to gain steam. Prices on the S&P/Case-Shiller national index rose 10.2% in the first quarter, according to the latest report. That marked the fourth consecutive quarter of year-over-year gains, says David Blitzer, head of S&P's index division. The strong gains over the past year may be a bit of a statistical mirage, according to Robert Shiller, a Yale economist and co-founder of the index. Foreclosure sales are down, he said, and since foreclosures sell at a steep discount, that's boosted average home prices. But eventually the proportion of foreclosure sales will stabilize, and that will make annual price gains less dramatic. There's another factor arguing against continued price gains, according to Shiller. Home prices are already at what he considers "normal" levels, adjusted for inflation. Even the steep housing downturn only took prices to where they would have been if they hadn't skyrocketed during the bubble. 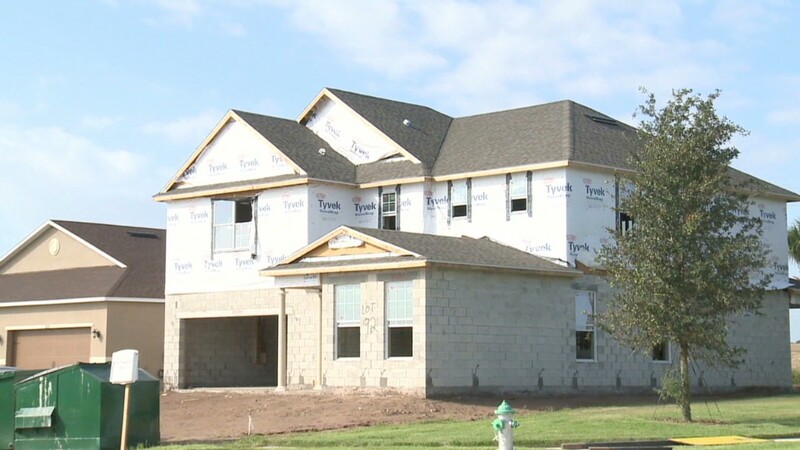 Index co-founder Karl Case worries about the pace of new-home construction, which slowed in April. New construction is a big driver of GDP, he said, so that may be a sign that the economic recovery is flagging. Both economists, however, are still cautiously optimistic for two main reasons. First is the fact that near-record low mortgage rates have made home buying more affordable. The second is all the pent-up demand in the housing market after years of sluggish sales. Phoenix recorded the largest year-over-year price spike, with a 22.5% jump. San Francisco prices rose 22.2% and Las Vegas prices grew 20.6%. New York, at just 2.6%, saw a modest annual increase.